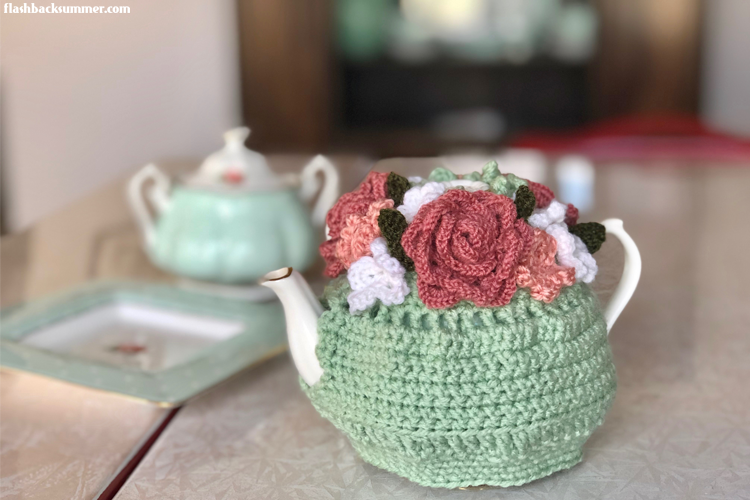 Over the past few years of living in the dorm, I would stroll through flea markets and antique shops and sigh at all the fabulous old things that wouldn't fit in my room or my budget. 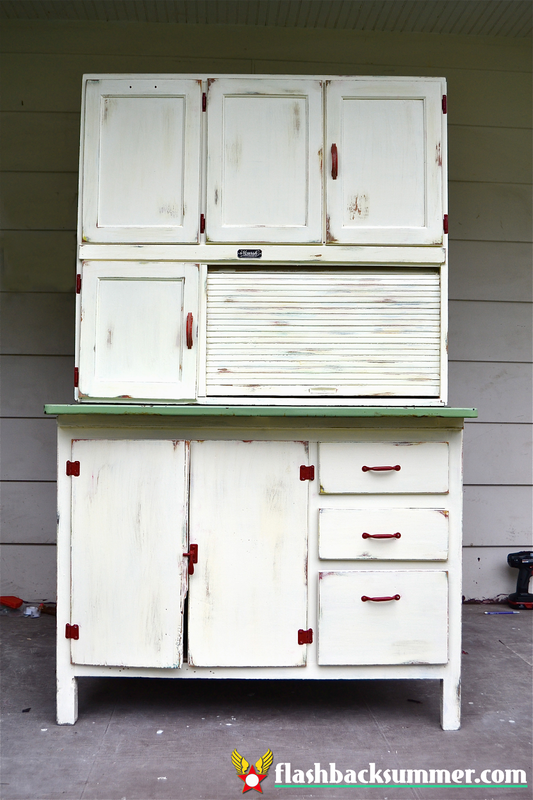 If a piece was really good, I would snap a picture of it on my phone... and it was generally a Hoosier cabinet. All their specialized nooks and crannies and clever gadgets, closures, and designs totally melt my heart. I want one in my kitchen. And my sewing room. And my bedroom. And the living room. I want one in every room; that's how much I like them. 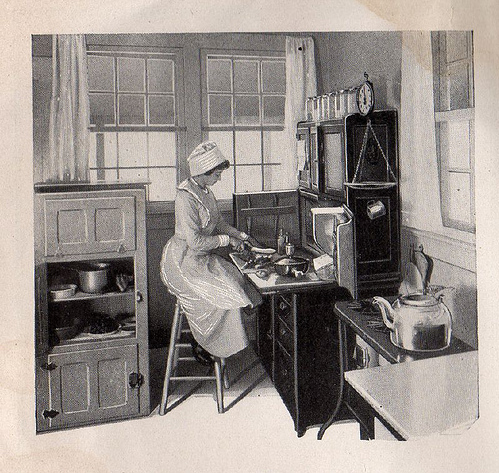 From "You and Your Kitchen, from Experience by Mrs. Christine Frederick," The Hoosier Manufacturing Co., New Castle, IN: 1915. Source. These cabinets are called "Hoosier cabinets" or just "Hoosiers" because of their origins in Indiana, known as the Hoosier state. Indiana Public Media describes how Hoosiers represented a shift in society around the time they were made. After the Civil War, the social structures of the Old South crumbled and people flocked to cities. Women who had been used to sprawling homes and servants had to learn to adapt to their new homes in servant-free, small, urban quarters. These back-in-the-day kitchens often included only some open shelves, maybe a sink, a stove, and a work table; can you imagine?! 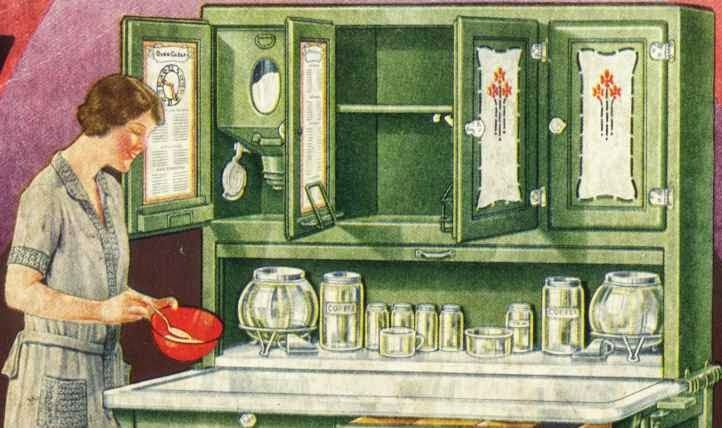 The Hoosier cabinet was a way to practically and efficiently store a lot of kitchen tools and ingredients in one compact space when efficient storage was so badly needed. These kitchen storage pieces were also a step forward in innovation by saving housewives a lot of steps in the kitchen. 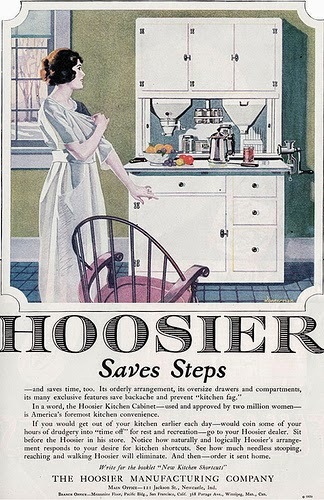 A study commissioned in 1920 by the U.S. Department of Commerce found that the Hoosier cabinet saved a person over 1500 steps, hugely efficient when the daily average in the kitchen was 2000 steps. What a difference! So, I have always loved these cabinets, but I have never gotten the chance to own one for myself.... until now! Jacob and I discovered one in a flea market about and hour and a half from Springfield, MO, and I just couldn't get it out of my head! 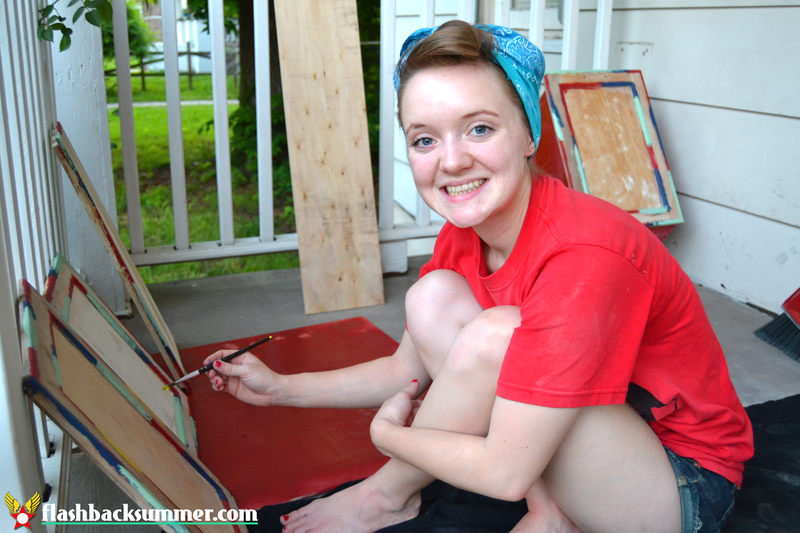 It had "character" (aka peeling paint like crazy, dirty inside, warped boards, and lots of rust! ), but it also had a cute design and a SEA FOAM porcelain counter on it! It perfectly coordinated with our house colors already! So we went and got it. Isn't she a beaut?! Well, her potential was beautiful at this point. It still has a couple minor things that we'd like to tweak in the future (finding some vintage hardware for the top, for example, since only 2/3 original door pulls are there), but we can definitely use it while we wait to do the small details that no one knows about but us! 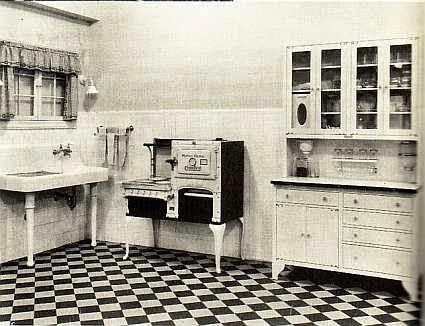 However, I also discovered through research for this post that Hoosier cabinet designs usually included a pull-out counter top for more space. Jacob and I had been wondering why the counter wasn't attached, and now we know! How totally brilliant is that little detail?! 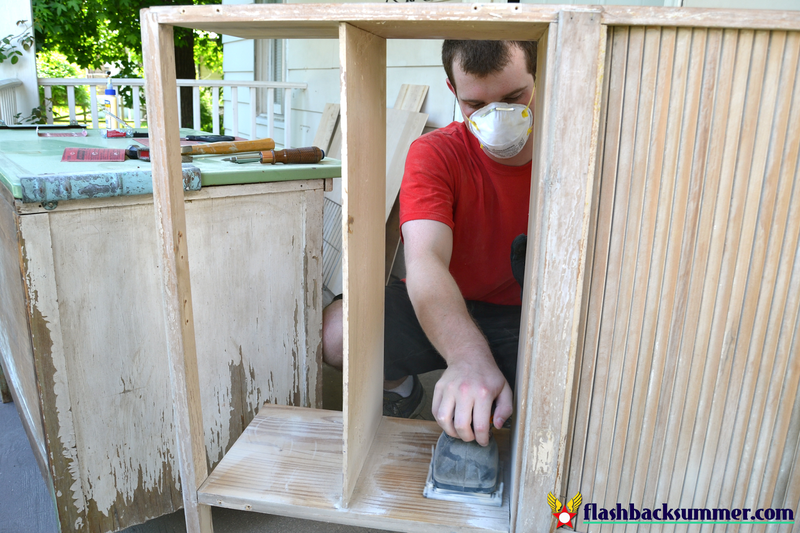 Redoing this Hoosier cabinet ourselves was a laborious process with lots of unforeseen difficulties, but I learned some new skills with Jacob's help (using a sander and knowing the difference between kinds of saws, for example) and it was more cost effective for us. Not to mention we get the personalized, custom look we wanted and the pride in being able to say we did it ourselves! And yes, we, a married newly couple, did make it through this whole cabinet makeover without any tense moments or "discussions"! Woooo! What do you think? 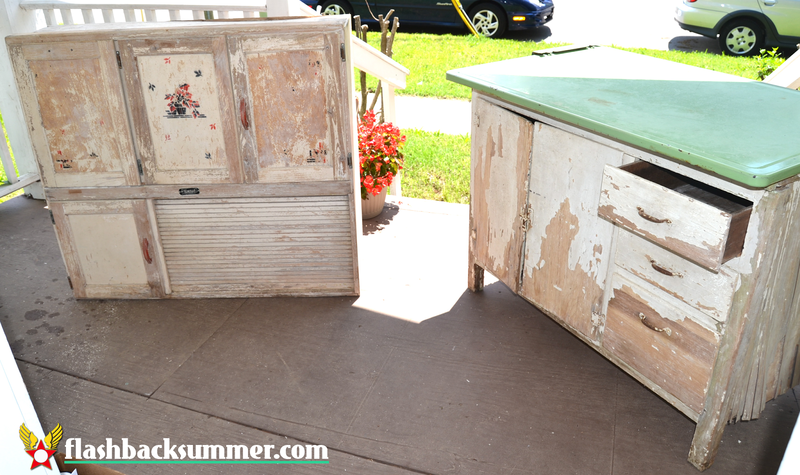 Would you ever consider redoing a Hoosier cabinet, or would you want to buy one already done? Do you have any makeover projects you're especially proud of? How great! I've always loved these guys, but didn't even know they were called Hoosiers. Thanks for sharing the information and your project! This is so lovely, you have done a great job with it whilst keeping it's character. How cool! 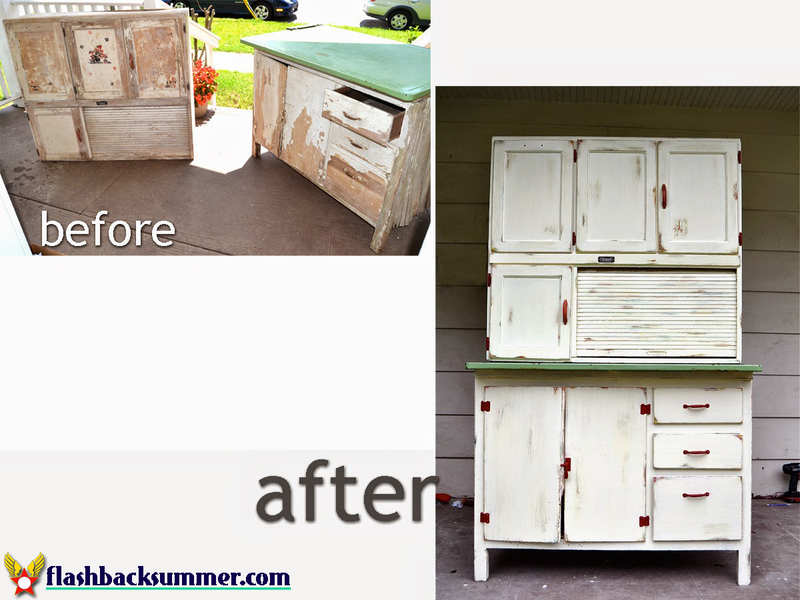 I've admired those cabinets ever since I first was introduced to them, and it's so neat that you restored one! 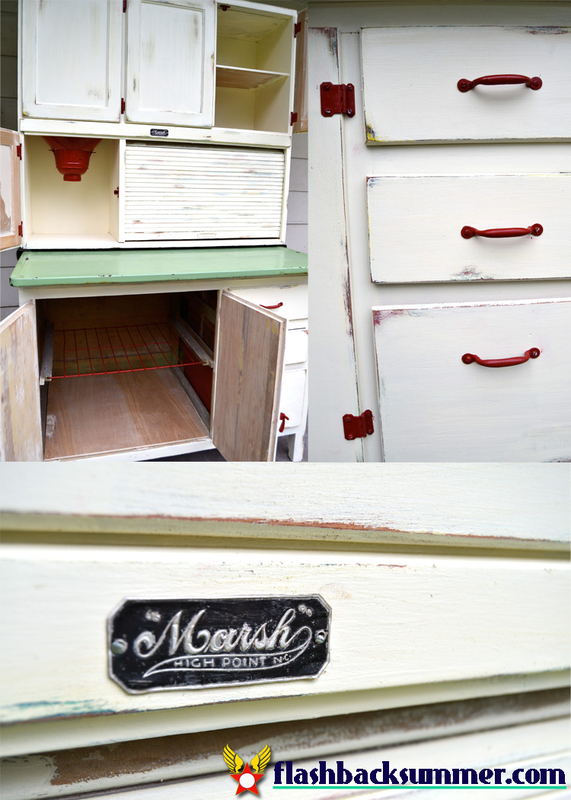 I have my great uncles Hoosier Cabinet with flour bin and the glas sugar holder, plus all the glass jars. I love it! Gorgous Hoosier! I love vintage, especially with a wide range of interest ('30s up to around 1960) but I don't do over the top decor either. Love your 'military' shelf! What hardware did you use to mount your cabinet so that the counter could slide? My partner and I have a crazy huge yellow one and haven't quite figured out how to affix the cabinet top portion. But as we have literally less than 1sq.yd. of counterspace (which is taken by the dishdrying rack), I want that bit of extra hoosier counter! And your cabinet looks absolutely gorgeous! The mint green is so cute! The counter isn't connected to anything, just has a wooden stop on the back to keep it from sliding out to far. This is how it can slide out. I hope this helps! Ok more questions -- sorry to be a pain. How much weight do you keep in your upper cabinet? My partner is leery of how sturdy those brackets are, because we keep our dishes in the cabinet. 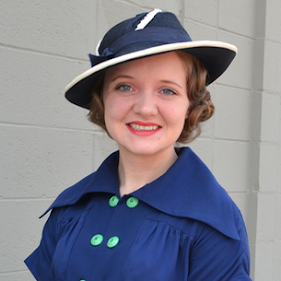 Miss August Vintage Life Magazine Contest Help! Welcome to the New Rogers Home! 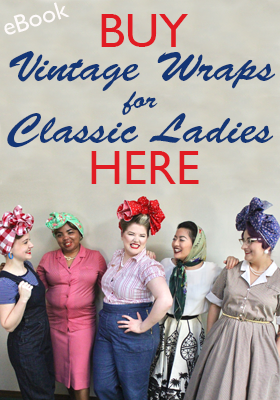 Guest Post over at Rosie Wednesday!